The Ismailis represent an important Shiʿi Muslim community with rich intellectual and literary traditions. The complex history of the Ismailis dates back to the second/eighth century when they separated from other Shiʿi groups under the leadership of their own imams. Soon afterwards, the Ismailis organised a dynamic, revolutionary movement, known as the daʿwa or mission, for uprooting the Sunni regime of the Abbasids and establishing a new Shiʿi caliphate headed by the Ismaili imam. By the end of the third/ninth century, the Ismaili dāʿīs, operating secretly on behalf of the movement, were active in almost every region of the Muslim world, from Central Asia and Persia to Yemen, Egypt and the Maghrib. 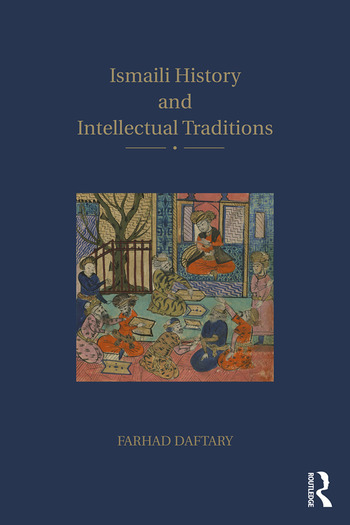 This book brings together a collection of the best works from Farhad Daftary, one of the foremost authorities in the field. The studies cover a range of specialised topics related to Ismaili history, historiography, institutions, theology, law and philosophy, amongst other intellectual traditions elaborated by the Ismailis. The collation of these invaluable studies into one book will be of great interest to the Ismaili community as well to anyone studying Islam in general, or Shiʿi Islam in particular. Farhad Daftary is currently Director and Head of the Department of Academic Research and Publications at the Institute of Ismaili Studies in London. An authority in Ismaili studies, he has written more than 200 articles and encyclopaedia entries and 20 acclaimed books which have been translated into numerous languages.